“In the business-to-business market segment, there’s always a need for advertising and signage,” said Toupin, president of Kingston, Ontario-based Sarah Toupin Inc. But it was her selection of substrates that would set her apart from other signage providers in an area that is hit with some pretty severe Canadian climate conditions, including lake-effect wind and snowfall from Lake Ontario. 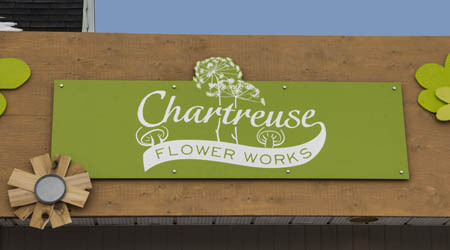 Discovering Dibond allowed Toupin to push her small business plan by specializing in outdoor signage, she said. Toupin landed her first business-to-business job in September 2012, when she was hired by the Black Prince Winery in Picton, Ontario, to update the image of its royal namesake on the winery’s outdoor monument signage. The Black Prince Winery (www.BlackPrinceWinery.com), a 12-year-old winery located in Ontario’s Prince Edward County, is named after the Black Prince, the eldest son of England’s King Edward III, who also was named Edward but died before his father. The Black Prince disguised himself in battle by wearing black armor. 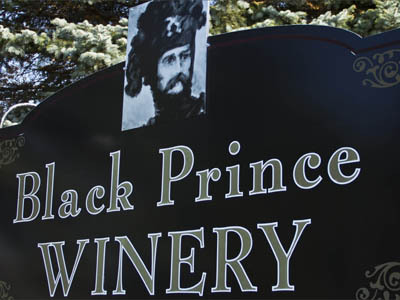 An image of the Black Prince created from a portrait was positioned atop the winery’s monument signage. The Black Prince also graces the labels of the winery’s bottled offerings. Toupin used Adobe Illustrator software to manipulate the winery’s high-resolution PDF file of the prince’s image, which was digitally direct-printed with an Oce Arizona GT 350 UV flatbed printer onto a sheet of Dibond in the Brushed Silver color and the 3mm thickness. 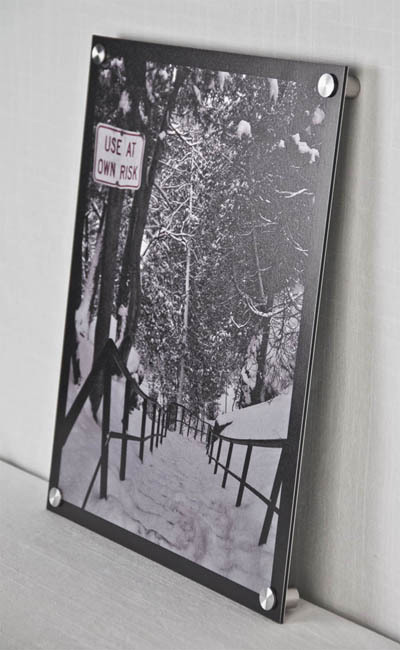 The 18-inch by 24-inch sign featuring the image of the Black Prince was cut with a CNC router. 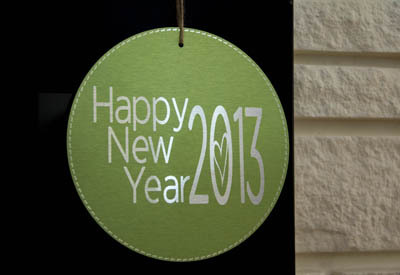 In December 2012, Toupin expanded her outdoor offerings to include circular holiday tree and door ornaments in the 3-inch, 5-inch and 7-inch diameters – featuring both English and French greetings printed on 3mm Dibond in the Brushed Silver color and targeted to meet the seasonal home décor needs of the mass-market consumer. “I started selling these ornaments for the 2012 Christmas season but soon realized that they weren’t just for Christmas,” said Toupin, who now offers a variety of seasonal and year-round ornament and door décor sold via her on-line Etsy store (www.etsy.com/shop/sarahtoupininc). Her latest consumer offerings – colorful garden stakes printed on 3mm thick Dibond in the Brushed Silver color – will be debuted at the Sarah Toupin Inc. Booth No. E229 at the National Home Show & Canada Blooms March 15-24 at the Direct Energy Centre in Toronto.